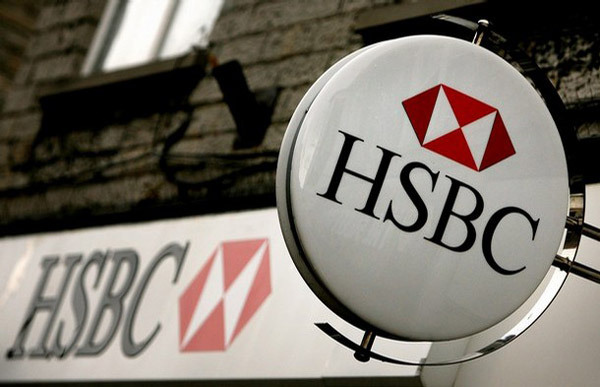 Human rights groups and NGOs have accused HSBC bank of colluding in a campaign of intimidation which they say is being waged against them by Egypt’s ruling military council. The groups, which hold Egyptian accounts with the global banking giant, say that over the past two months HSBC has contacted them requesting documents and information relating to their finances and work in Egypt. One NGO worker, the director of an organisation which works to promote democracy around Egypt, said he was called last month by an HSBC bank manager who asked why the group had been receiving money from the American embassy. “They wanted to know what our activities were,” said Bassem Samir, executive director of the Egyptian Democratic Academy. “It was not clear why they were asking these questions. This month HSBC also contacted another civil rights group, the New Women Foundation, and asked staff to provide a list of all of their future projects. It comes at a time of heightened tensions between NGOs and the ruling military council, which took power after former president Hosni Mubarak was toppled in February. During the summer, Egypt’s Minister of International Co-operation, Faiza Abul-Naga, announced that a commission of inquiry was being established to investigate the funding of civil society organisations. The results of the investigation were published in an Egyptian newspaper last month, which detailed the funding received by numerous NGOs and also revealed that 39 organisations had been declared illegal – including some of the most respected civil rights groups in Egypt. Since August there have also been reports in official newspapers accusing some NGOs of treason. State TV has questioned the loyalty of certain groups, while in a recent statement the Justice Minister referred to spies and treachery in a statement about human rights organisations. Last week the vice-president of the Union of NGOs, the government body which regulates NGOs, told a local newspaper that some employees of Egyptian rights groups could face jail over the issue. It came after the Ministry of Justice submitted information to a Cairo court detailing the foreign funding received by 75 organisations. But HSBC is not the only target of criticism by activists. Another bank, Egyptian-owned CIB, has also been accused of intimidation. According to United Group, a firm of Cairo lawyers specialising in human rights, the bank recently contacted lawyers to ask why the firm’s partners had received money from USAID, the US governmental organisation which distributes development cash. Following CIB’s inquiry, the bank closed Mr al-Boraa’s personal account along with his sister’s. United Group’s company account was also subsequently closed. Mr al-Boraa said CIB had told him they were acting at the behest of officials at the money laundering department of the Central Bank of Egypt, which oversees all banking operations in Egypt. Neither the Central Bank of Egypt nor CIB responded to The Independent’s requests for comment. HSBC Bank Egypt’s head of communications, Omnia Samra, said that international banks had to respond to the Central Bank of Egypt “on a wide range of queries”. “We are not in a position to advise the nature of such queries to third parties,” she added. Egyptian NGOs gave The Independent a number of other examples of government interference in their work. The New Women Foundation said that during the summer, ministry officials blocked a $5,000 “Nelson Mandela Award” given to them by an international NGO called Civitas for their campaign promoting freedom of association. Leaders of groups such as the Egyptian Democratic Academy and April 6, the prominent political youth movement, were also investigated by the government to discover details about their property assets, according to newspaper reports. It has led to accusations that Egypt’s ruling generals, who have come under intense criticism since 27 protesters were killed during a confrontation with troops earlier this month, are using banks and government departments to apply pressure on groups which have investigated the military’s abuses of power. A number of NGO directors told The Independent that the persecution was worse than under former President Hosni Mubarak. “Under Mubarak, maybe this or that NGO was investigated,” said Bahey al-Din, director of the Cairo Institute for Human Rights Studies (CIHRS), one of the civil organisations reportedly under investigation. “It never happened that NGOs as a group were investigated. In August the director of USAID in Egypt resigned after a row which erupted over the group’s activities in the country. Since February USAID has distributed millions of dollars to a variety of NGOs, leading some Egyptian officials to denounce those who accept foreign money as being “traitors”. After coming to power the military council announced that foreign funding of civil organisations must go through official channels, such as the Ministry of Social Solidarity, which vets all external financing of registered NGOs. However some organisations escape the tighter scrutiny of their financial affairs by registering either as civil or legal entities, meaning there is far less government oversight of their activities. Neither the Egyptian Democratic Academy nor the United Group are registered as NGOs, but instead operate under legal and civil status. The deadly clashes in central Cairo this month, just weeks before parliamentary elections scheduled for November, marked the latest in a series of growing rifts between Egypt’s generals and the activists who brought them to power. Since the February uprising thousands of civilians have been arrested and jailed using the military court system, while following violent clashes outside the Israeli embassy last month, the ruling generals said they would be renewing the Emergency Law – a hated symbol of Mubarak-era abuses. Egyptian journalists and bloggers have also been summoned by the military to answer questions about articles criticising the government. According to Shaimaa Abo El-Khair from the Euro-Mediterranean Human Rights Network, an organisation which has just completed an investigation of the military’s treatment of Egyptian NGOs, the council’s attack on civil society is “very, very serious”. “We are very concerned about the human rights situation in Egypt, which is perhaps as bad as before the uprising.